Lionel Messi and Mohamed Salah have featured in a 'Last Can Standing' video challenge for Pepsi MAX, who have premiered their 2019 global football campaign under the brand’s new international platform and tagline, 'Pepsi, for the love of it'. Four-time Champions League winner Messi faces off against last season's finalist Salah in a video teased on the pair's social media accounts last week, as they engage in a life or death *cough* duel for a can of Pepsi MAX. As the pair pull up to a remote petrol station they discover there is only one can of Pepsi MAX left in the fridge, and compete in a series of action-packed trick shots and skilful challenges as they go head-to-head for the coveted cola. ​Messi said: “It was a lot of fun to film this year’s commercial with Pepsi – it’s a concept with fun and football skills at the heart of it. I hope this year’s campaign continues to encourage football fans to embrace their passion and love of the game." 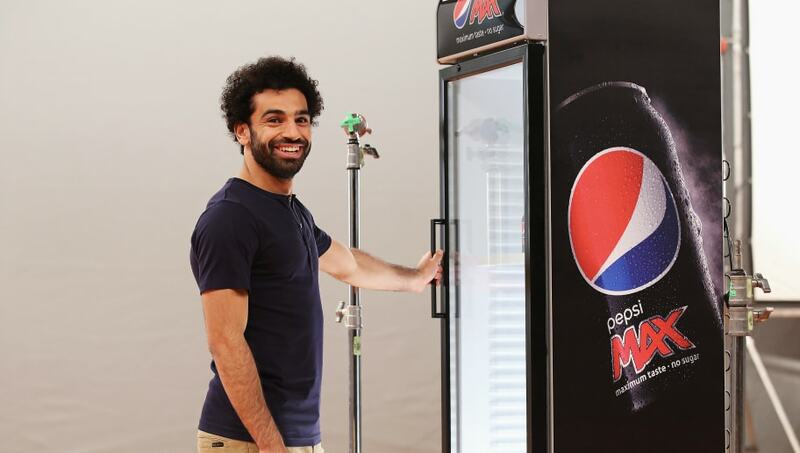 ​Salah added: "I’m very happy to see the partnership with Pepsi turn global, and I’m excited for what lies ahead." Encouraging people to go all in for the things they love, 'for the love of it' is brought to life through the Pepsi's passion of football. Across the brand’s presence, this year’s campaign celebrates the brand’s ongoing partnership with the UEFA Champions League, with two of the world’s best footballers together for the first time, facing off in true entertaining Pepsi MAX style. The two could yet meet in the Champions League proper, with ​Barcelona facing a last 16 tie against Lyon next Tuesday, with Salah's ​Liverpool kicking off against German champions Bayern Munich on the same night.